Medical researcher Dr. Angel Yanagihara of the University of Hawai`i is in the news again, this time on the cover of Island Jane magazine. The magazine’s December issue is dated the same day that Dr. Yanagihara’s husband, Ric Yanagihara, MD, (Pediatrician, Infectious Disease Scientist at the John A. Burns School of Medicine) was recognized with a national research award from The Research Centers in Minority Institutions (RCMI) Program Directors Association, the prestigious Dr. Frederick C. Greenwood award dedicated to the memory of Dr. Frederick C. Greenwood, an internationally acclaimed scientist and exemplary scientific administrator who worked at UH Mānoa. Angel Yanagihara, PhD, is an assistant research professor at the John A. Burns School of Medicine and the UH Mānoa Pacific Biosciences Research Center. She has become one of the worldʻs go-to experts on the box jellyfish and the venom that irritates and sometimes kills people in the ocean, but which may prove beneficial in future therapies for other maladies. Sheʻs also exploring the possibilities of other compounds proteins and molecules she discovered in the venom during her research. 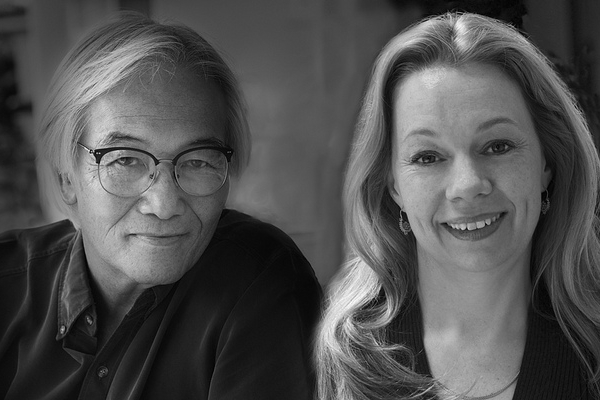 Both Dr. Angel Yanagihara and Dr. Richard Yanagihara were featured by the National Institutes of Health in a program meant to inspire young people to become scientists. This photo of the couple was part of the first edition of the “Biomedical Faces of Science” from NIH.